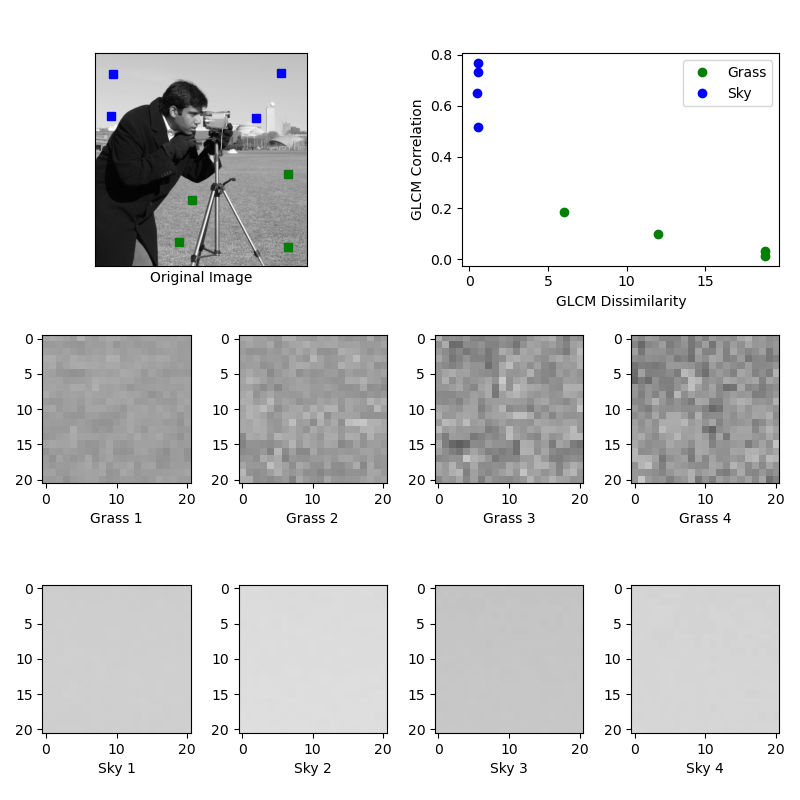 This example illustrates texture classification using grey level co-occurrence matrices (GLCMs). A GLCM is a histogram of co-occurring greyscale values at a given offset over an image. In this example, samples of two different textures are extracted from an image: grassy areas and sky areas. For each patch, a GLCM with a horizontal offset of 5 is computed. Next, two features of the GLCM matrices are computed: dissimilarity and correlation. These are plotted to illustrate that the classes form clusters in feature space. In a typical classification problem, the final step (not included in this example) would be to train a classifier, such as logistic regression, to label image patches from new images.